Tony‘s in the midst of getting a Hitchhiker’s Guide to the Galaxy tattoo but couldn’t wait till it was done to share with us. Looking good already! 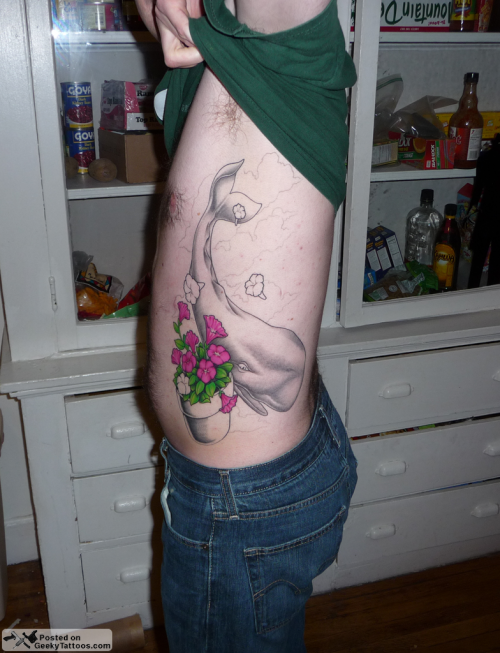 The sperm whale and petunias were inked by Steve at Darkstar Tattoos. Tagged with Hitchhiker's Guide to the Galaxy, petunias, ribs, whale.